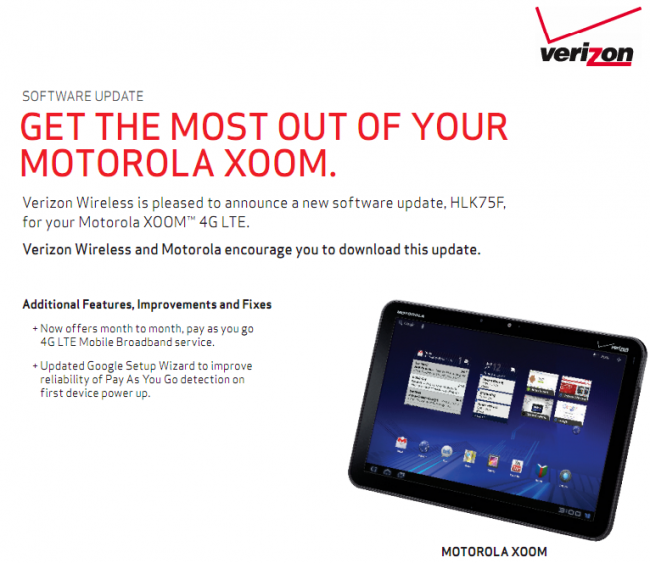 We first reported last night that the impending update for the Motorola XOOM on Verizon was very minimal and only included the software to help pay-as-you-go customers get set up. The changelog has now been posted, and as you can see, is nothing to jump for joy over. The update is 8.9MB in size. More info.